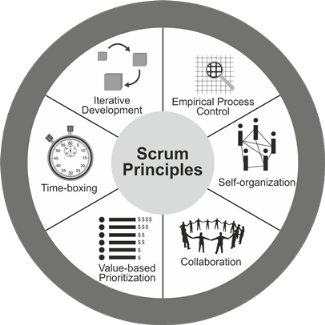 Scrum principles are the core guidelines for applying the Scrum framework and should mandatorily be used in all Scrum projects. They are non-negotiable and must be applied as specified in the SBOK®. Keeping the principles intact and using them appropriately instills confidence in the Scrum framework with regard to attaining the objectives of the project.